There’s no doubt to it — mobile e-commerce is on the rise, with an IDC report predicting that by 2017 purchases on mobile devices will exceed $1 trillion. And Japanese e-commerce giant Rakuten knows this clearly, which is why it is keen to fold messaging and calling app Viber into its “key priority” — mobile commerce. Last month, Rakuten announced that it was buying Viber for $900 million. As Rakuten launched its service officially in Singapore today, Shin Hasegawa, the global vice chief marketing officer, tells TNW that the company is “aggressively” working to integrate Viber into Rakuten. And obviously Viber will be part of it, (though) it’s a broad topic that we’re treating as a company priority. The Viber service has all along focused on voice calls and been kept relatively simple — it doesn’t include the robust mechanics of its Asian rivals that include payments, e-commerce, games, marketing and more. But e-commerce is shaping up to form the future of messaging apps. We’ve already seen Tencent’s WeChat messaging app incorporate official accounts and payments, with one of its most successful case studies to date being the sales of Xiaomi smartphones in China — selling 150,000 units in under 10 minutes, no less. Japanese chat app Line, which is closing on 400 million registered users worldwide, has also started flash sales in countries including Thailand. Hasegawa says, however, that first of all Rakuten is keen on simply getting Viber, which claims 300 million registered users worldwide, up to speed. We do have a very strong passion to make Viber very successful as part of the Rakuten family. It will be step-by-step, first making sure Viber alone becomes more successful, then migrating into the Rakuten business, perhaps from e-commerce, then completely integrating into the Rakuten ecosystem. It’s more an ecosystem, and e-commerce is part of it — e-commerce, online finance, online travel booking, online digital content… all of those come under one membership service. So if you log in to our service, you can get access to multiple Internet services and you’ll also get rewarded by one reward program. Yet as Rakuten is known for being first and foremost an e-commerce company, how it competes with heavyweights including Amazon and eBay is a key concern. Hasegawa says that Rakuten seeks to stand out by differentiating its shopping experience which is “a little bit more rich, in a way a bit chaotic.” He explains that Rakuten seeks to make its merchants transform from just putting up products online to a true brand with communications and storytelling. It’s only the shopowner that has that kind of passion and knowledge, and that’s one way to communicate with their users. Obviously if there’s a question about the product, they can interact with the users as well… but even from the beginning, looking at the website itself, there’s also part of the communication going on, which is very different from just a typical simple page where you see the product, click and that’s it. However, when asked about China — where e-commerce juggernaut Alibaba dominates, while Tencent is creeping up slowly given its tie-up with JD.com — Hasegawa declined to share any plans. In any case, Rakuten is facing a tough ride as it comes up against stalwarts in the e-commerce industry. Yet the company is also a grand old dame of 15 years old, and has even grown in the past couple of years, a sign that they must be doing something right. Hasegawa says he is confident that Rakuten is moving in the right direction. “The reason why we are very confident is not just by comparing ourselves with competitors — we do have a very strong belief that even the culture we have is a good fit,” he says, citing speed in getting things done and being practical. 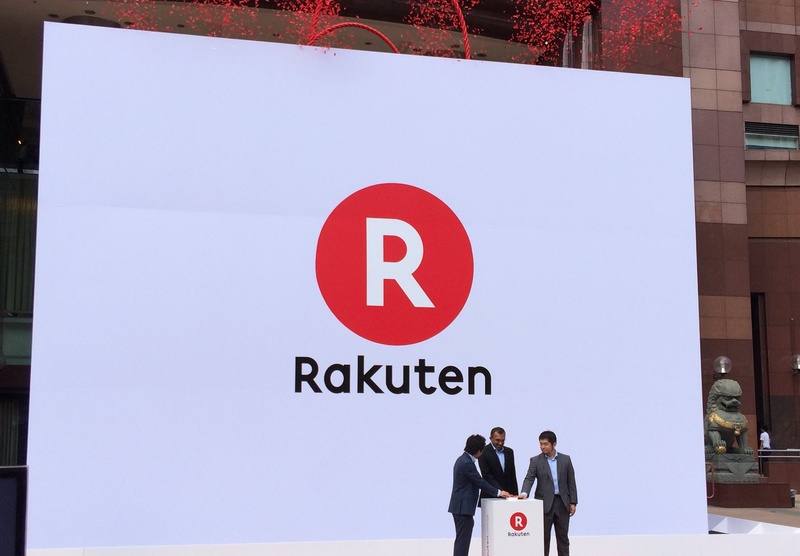 As Rakuten has placed some initial bets on how it will expand its success outside of Japan, it’s going to be an interesting year watching it ramp up those strategies and try to grow into new markets.